Home / North Palm Beach Edition / I Want a Dental Implant But I Will Be Leaving Soon For the Summer… What Can I Do? I Want a Dental Implant But I Will Be Leaving Soon For the Summer… What Can I Do? Many of our “snowbird” patients run into this dilemma during the late winter and early spring. This particular question is one we are asked routinely with good cause. 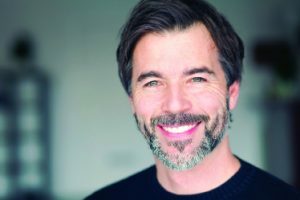 Understanding the steps of dental implant therapy can help simplify the decision process when it comes to timing treatment around your schedule. Dental implants can be used in many different ways. They can serve to replace a single tooth, multiple teeth or even help restore a smile and chewing function for your whole mouth. The easiest way to understand a basic dental implant is to think about a single tooth. A tooth has 2 parts: the crown (which you see when you smile) and the root (which anchors the tooth in the bone). A dental implant is nothing more than a replacement root. Once the tooth is extracted, a new root (the implant) can be placed in the empty socket where the old root used to live. The implant is typically hidden under the gum tissue and is not visible. As the area heals, the implant “glues” to the bone. This typically occurs with a high probability of success, but as with any procedure, there are no guarantees. It is also important to remember that medical issues and personal habits, such as smoking, can impact if the dental implant “takes”. The time for this healing and gluing can vary. The range of time is determined by a number of factors based on your individual situation, but often ranges from 12 weeks to 6 months. After successfully gluing to the bone, the implant root is ready to have your dentist fabricate the crown. In a typical treatment, time is needed for the implant or implants to glue to the jaw bone. If the implant and bone have not fused and a crown is attached, it is possible to injure the site and require the implant to be removed and replaced. This can be compared to pouring wet concrete around a pipe and moving the pipe before the concrete sets. On the other hand, waiting slightly longer than necessary for the implant to fuse, does not carry the same risk. The fact that implants need time to fuse to the bone actually fits very well with the schedules of our snowbird patients. Many of them choose to have their implants placed prior to leaving for the summer. This option allows them to use the summer months to let the area heal while forgetting the treatment has been started. When returning to the area in the fall or winter, the implants are typically fused to the bone and ready to have the dentist fabricate the permanent crowns. This sequencing is similar to baking a cake. The initial work is completed and then forgotten about until the timer is up. Spacing treatment to utilize the summer months as healing time can be an effective way to continue your treatment without delaying the final results. Every patient’s treatment needs are not the same. A complete examination is necessary to develop a plan that will meet your individual desires. In many cases, the use of the summer months as healing time can help keep your treatment on track without unnecessary delays. in-office, state of the art 3D CT imaging to develop the least invasive dental implant and bone regeneration treatment options. Dr. Cohen and his facility are state certified to perform both IV and Oral Sedation procedures. Dr. Cohen formerly served on the Board of Trustees for the American Academy of Periodontology and the Florida Dental Association. He is past president of the Florida Association of Periodontists and the Atlantic Coast District Dental Association. In addition, Dr. Cohen has been awarded Fellowship in the American College of Dentists, International College of Dentists and the Pierre Fauchard Academy. Next WHY AM I SO STRESSED?? ?